PALMDALE – A high-precision NASA radar instrument left Palmdale for Iceland today on a NASA research aircraft to create detailed maps of how glaciers move in the dead of winter. This will help scientists better understand some of the most basic processes involved in melting glaciers, which are major contributors to rising sea levels. 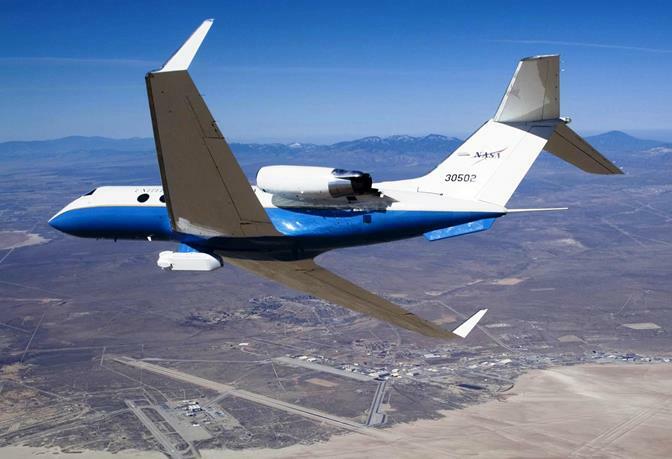 The instrument, developed by NASA’s Jet Propulsion Laboratory in Pasadena is carried on NASA’s C-20A research aircraft, which departed NASA’s Dryden Aircraft Operations Facility in Palmdale. The experiment is led by Mark Simons, a professor of geophysics at the California Institute of Technology in Pasadena, and Brent Minchew, a Caltech graduate student. 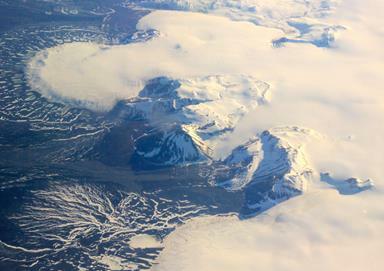 During the 2012 campaign, surface ice on the glaciers was melting under the summer sun. Meltwater that trickles through the body of a glacier down to the bedrock below can influence the speed at which the glacier flows. By mapping the same ice caps in winter, when the surface remains frozen all day, and then comparing the winter and summer velocities, the researchers will be able to isolate the effects of meltwater. 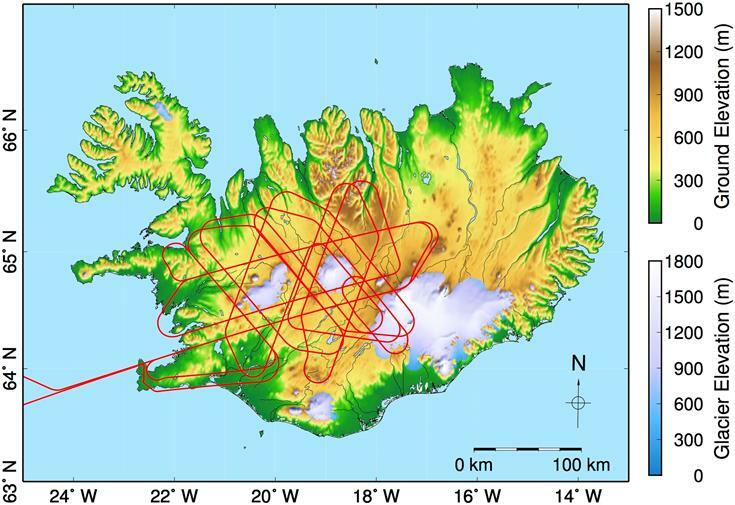 Using NASA’s C-20A airborne science aircraft and support crew, the researchers will make four flights from Keflavik International Airport near Reykjavik, Iceland, between Jan. 30 and Feb. 6 during the few Arctic daylight hours. Each flight follows precisely the same complicated path as flown in 2012 (see map). The crisscrossing flight legs allow the JPL-developed instrument, called the Uninhabited Aerial Vehicle Synthetic Aperture Radar (UAVSAR), to map the full extent of both ice caps from multiple angles to capture flows in every direction. The movement of the ice between one flight and the next allows scientists to calculate flow speeds. “The UAVSAR gives us an entire, continuous map of how every place on the ice cap is moving,” Simons said. The two ice caps, called Hofsjökull and Langjökull, are ideal natural laboratories for this experiment, according to Simons. They’re relatively uncomplicated and small enough that the scientists can readily use the data from these experiments in computer models of glacier flow without requiring a supercomputer. Langjökull, the larger of the two, covers about 360 square miles (950 square kilometers); for comparison, the largest ice cap in Iceland, Vatnajökull, is more than 3,100 square miles (8,000 square kilometers). For more information on UAVSAR, visit: http://uavsar.jpl.nasa.gov. For more information about NASA’s Earth science activities in 2014, visit: http://www.nasa.gov/earthrightnow. 2 comments for "NASA radar maps the winter pace of Iceland’s glaciers"
NASA may be mapping glacier movement but SAR is very useful for other reasons as well. WOW! NASA is in our backyard, doing great science. Armstrong Flight Research center, and the Palmdale based NASA Airborne Science facility are doing great science missions. Science that is important to the Earth’s people. Climate change may be a topic of polarization for political groups, but without real honest data, who will know for sure? Go get them NASA! Thanks to the C-20 crew and scientists.